As some of you may know for the past year I have been training at the Gym. Something I never thought I would ever do. I have been so pleased with the results dropping 2 dress sizes! I feel so much better. 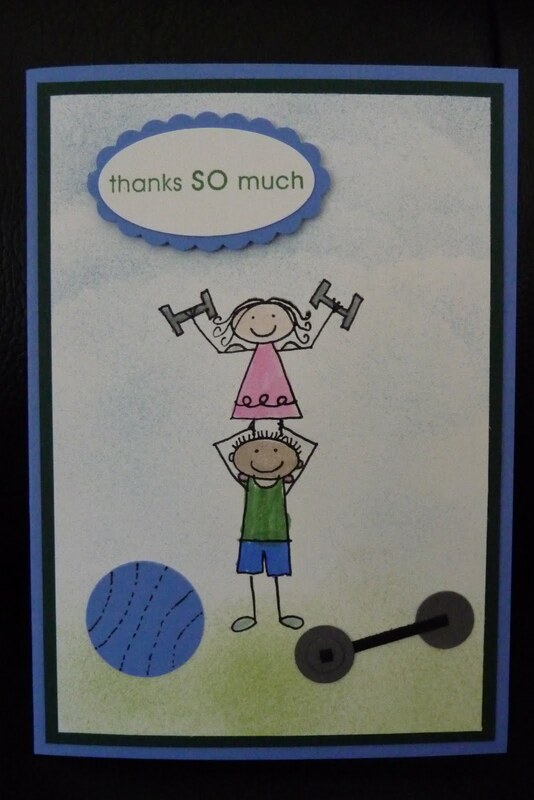 Any way I wanted to give my Personal Trainer Ming a card to say thank you for all his hard work. I love the All in the family set. In side I wrote thanks for helping me stand tall.